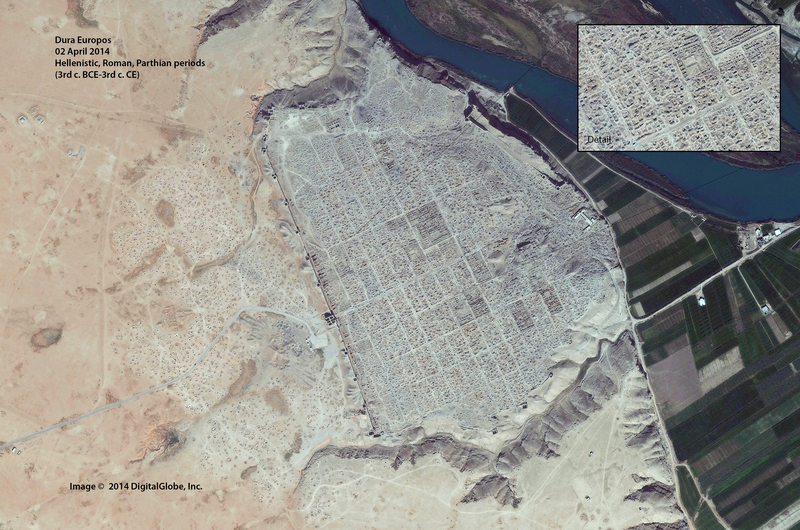 The “holes” in the inset picture are looting holes from the area near the main agora at Dura Europos. Sadly, we haven’t properly excavated much of that area. We need to act rapidly against a situation that is becoming noticeably worse. In fact we are faced by a volcano in permanent eruption with a mixture of hate and horror. It is breaking down Syrian society and its values through the violent and systematic destruction of its heritage. The situation is comparable to a boiling crater of lava. Around this volcano, archaeological heritage is suffering eruptive blasts, with the population hovering between expectation, anguish and hope. via Syrian Archaeology, ‘Scale of the Scandal’ | The ASOR Blog. History and our cultural heritage matters.